Do You Ever Wonder, "What Am I Really Doing with My Gifts?" 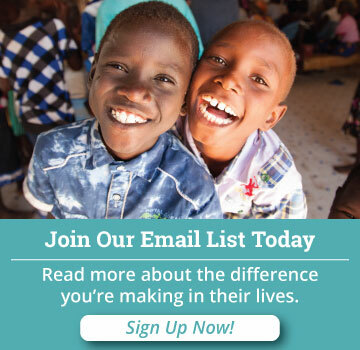 - You are rescuing and caring for thousands of orphaned, abandoned, and refugee children in Kinships across three continents. - You are giving widows a second chance, a safe home, and a new purpose. - You are sustaining tens of thousands of impoverished people in struggling families with millions of meals and medical supplies. - Most importantly, you are living out the Gospel and bringing hope to the hopeless. Your mission and ours is to: unite people separated by war and tragedy, rebuild loving families for orphans and widows, and create networks of local churches and rescue centers. Gloria is a widow, a mother of five, and is crippled by a mystery illness. She has an untreated condition that leaves her in constant pain. She’s gnarled by sickness and broken-hearted over the unavenged murder of her husband. And the worst part is that within her remote Honduran village, there’s no hope for her. That is, until you come into the story. And the worst part is that within her remote Honduran village, there’s no hope for her. That is, until you come into the story. You can put food on Gloria’s table, one that lays far too bare at every meal. You can send Gloria’s 14-year-old daughter back to school, where she was excelling before her mom pulled her out to help around the house. You can make sure this same young girl doesn’t get pregnant while she’s still a child herself – as so many other 13 and 14 year olds do in her village. Here’s how: If you sent $45 a month, Gloria and her children will have enough food to eat. Will you be the one to answer their prayers? Students across Cambodia are in need of a safe shelter like the one Kinship Cambodia can offer. 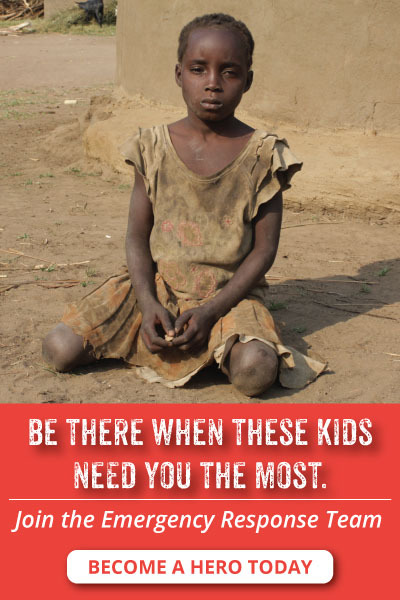 Will you be the one to shelter them, feed them, and introduce them to the Gospel? Yes, I can give $50 to Kinship Cambodia! Srey came to Phnom Penh for a second chance. She’d gotten into university, and would be the first person in her family to get out of the village and make something of herself. But when she got to Phnom Penh, it wasn’t the fairy tale she had imagined. Everywhere Srey looked, things were way too expensive. She couldn’t afford to rent a room or even a bed, and she wasn’t getting enough to eat. There were strings attached to every offer of “help”. Drugs. Prostitution. Things got so bad, she was almost considering it. Srey’s country’s education system was failing her, and young people everywhere. And that doesn’t just mean she might have to drop out of college. Rather, it could kill her. Srey needs a hero. And if you’re reading this, that means you. Jack, pastor of Kinship Cambodia, has a passion for young students like Srey. He even has a plan on how to help them. But he needs your help to do it! With just $50 per month, you can give Srey a safe place to live and some extra food so she can afford to stay in school. Kinship Cambodia’s church has room for 20 of these students! And you can be the one to bring one of them in off the streets and secure their safety and their future. Students like Srey aren’t Christians. When they receive your gift and find a safe haven at Kinship Cambodia, you are showing them God’s love in a way they’ve never seen before. You also give them the chance to join Bible studies, worship nights, and discipleship groups where they will get to know God personally. With your gift, you’re doing more than giving an underprivileged student a college education. You’re giving them the hope of the Gospel. Will you support Kinship Cambodia with a gift of $50 per month?